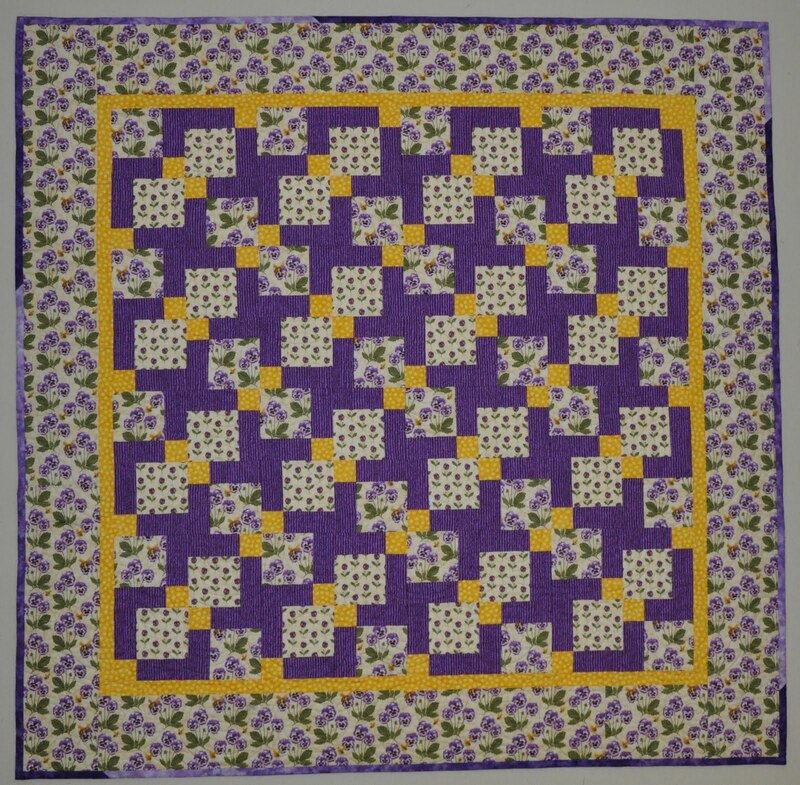 This is my latest finished flimsy. 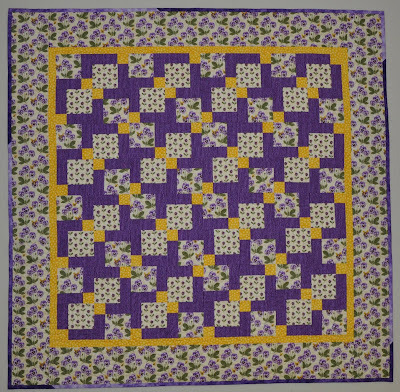 These blocks were pieced on a broadcloth (not 100% cotton) foundation. I piece blocks until I have enough for a project or two and then decide on the layout. I played with layouts and after searching the internet for inspiration, I came up with this layout. The Quilted Twins blog is a great source of inspiration and free patterns. 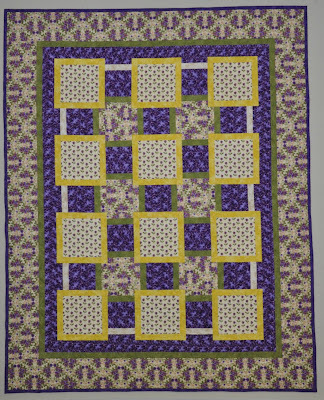 I ended up with a layout inspired by the quilt that Becky designed called, Stringles. 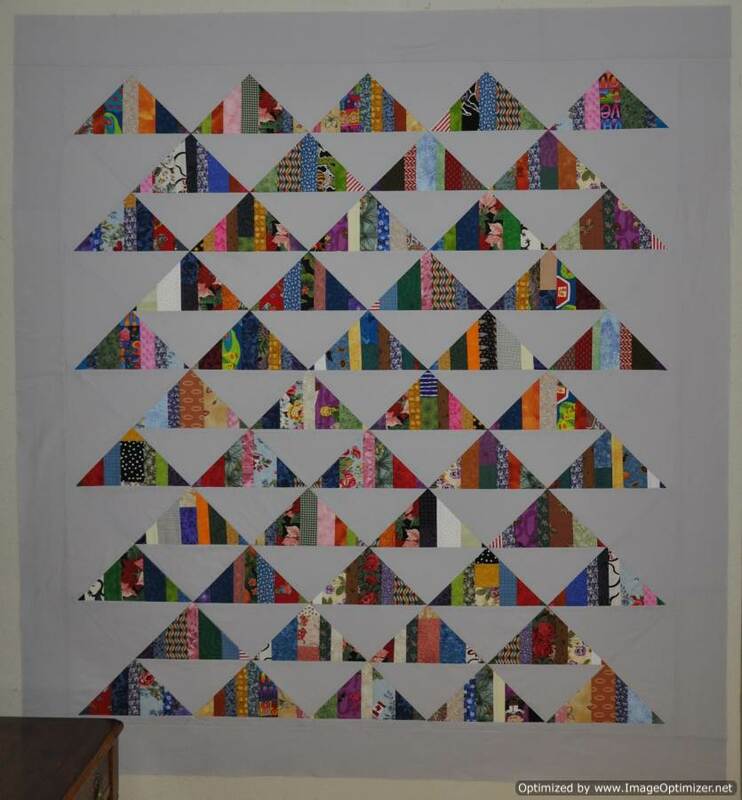 I have inverted my “mountains” and I have not included the half triangle bits on the end of the rows or at the bottom of the quilt. I think my “mountains” look more like they are floating on the grey background. 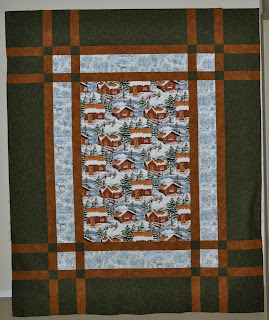 Mountain Strings finishes as a flimsy at 59.5″ x 65″ which makes a nice lap size quilt. 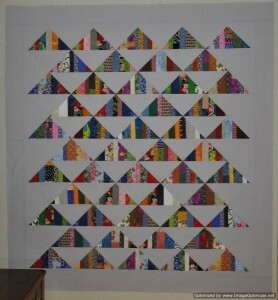 After spending most of December long arm quilting for others, I was looking for a fun project that would be quick to finish–a reward project. 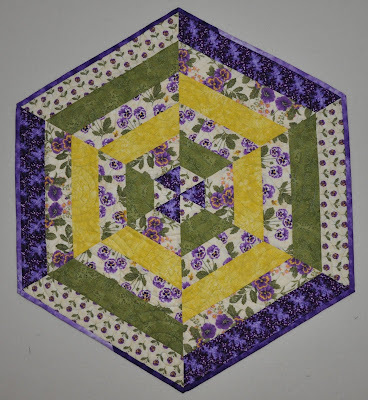 This project is a quilt that can be cut out and put together easily in a weekend. 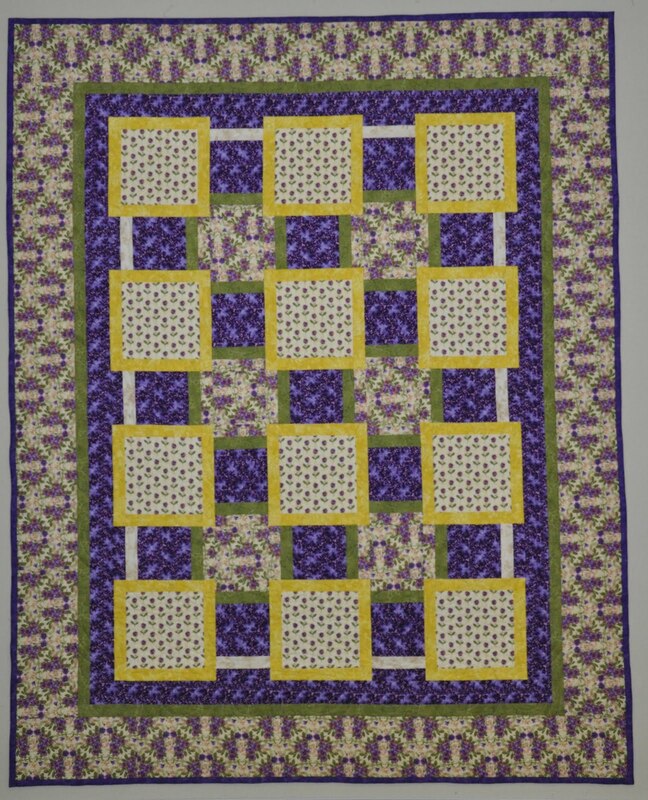 The print in the center of this quilt was in my stash for some time. The go-with fabrics were purchased during a Boxing Week sale after Christmas last year. It was time to assemble them into the intended quilt. 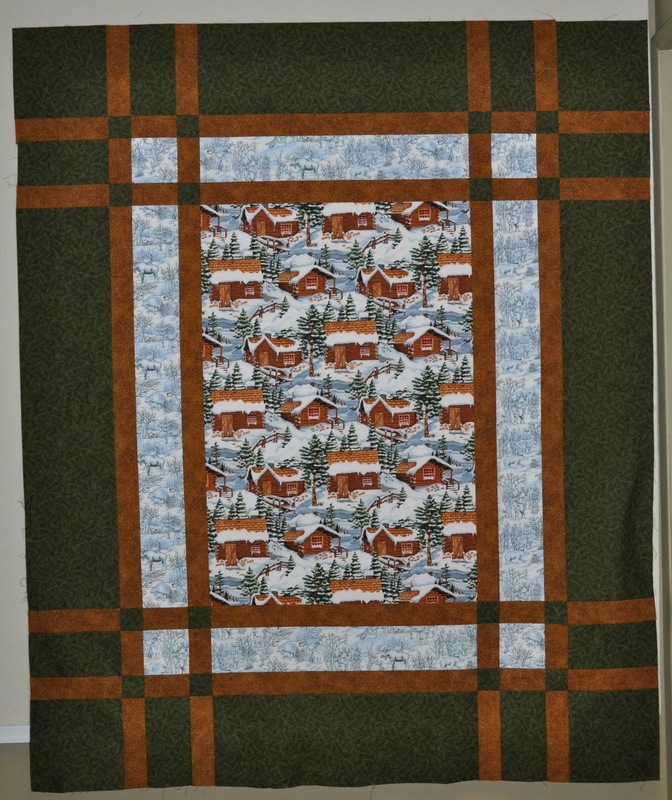 This pattern is called, “Prairie Window” and is by Anne Wiens of Sweetgrass Creative Designs.